Creating a focal point in your home whether it’s indoors or outdoors creates the feeling of space without having to renovate any areas of your home, while bringing a stylish, functional, and safe barricade to the design of your home. As we’re aware of, toughened glass is a hardwearing product which is able to withstand all the elements including harsh winds, rain, and continuous exposure to sun/heat, thus making it perfect to add as an additional feature to add to your home, while impressing your guests with its elegance and stylish design finishes. Both functional and stylish, frameless glass balustrades add a modern feel to the inside or outside of your home, allowing unobstructed views from internal and external staircases, verandas, and balconies. Or if you’re wanting more privacy, Frameless Impressions provide frosted/tinted glass options, allowing for a bit more privacy you’re after without losing the stylish feel and design of your room or home. Our glass balustrades come in clear and tinted finishes, with the options of handrails to add to the overall look but not compromising the final design. Safety is always a priority when finalising the design for your home, leaving no stone unturned when it comes to the safety of your family and home. All our glass is produced with toughened glass and compliant with all safety regulations according to Australian Building Codes. Glass is cantilevered from an aluminium base channel set in the decking. All panels are to be a minimum height of 100mm from all finished surfaces (tiles, pavers, decking, and planter boxes .etc). Glass widths vary from 1200mm-2200mm with 20-50mm gaps between panels. Thump Balustrades are our most premier style of Balustrade, and also one of the most popular- as the finished look is simply stunning! Designed and developed in Brisbane by Thump Systems, these Balustrades offer a minimalist look that will compliment any balcony or outdoor setting. 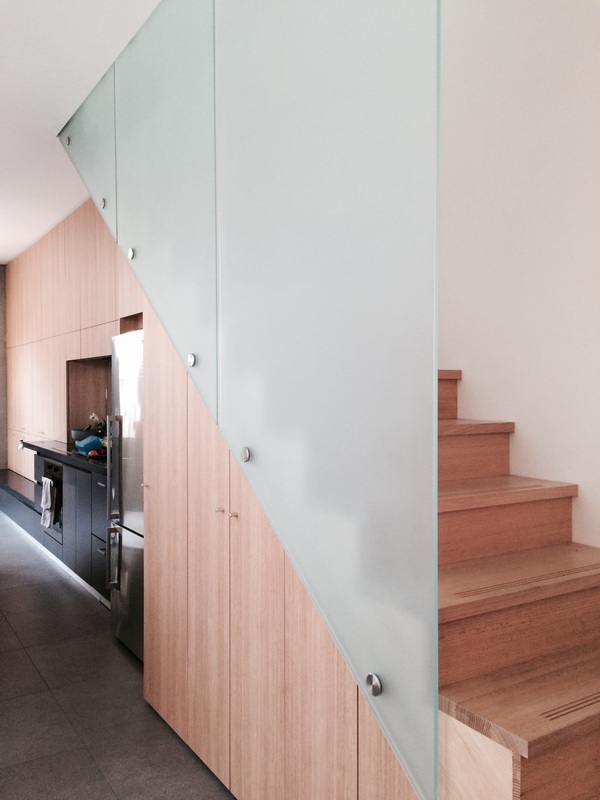 What types of glass can you work with for balustrading? We have 3 main types of balustrade glass, clean, tinted and starfire.